These gluten-free muffins made with brown rice flour use Splenda instead of sugar, so they are sugar-free as well. As with most muffins and quick breads, they are yeast-free. This is a basic recipe that comes courtesy of Ener-G Foods. It gets many positive reviews, so you can trust this recipe. Feel free to spruce it up a bit by adding some extra toppings or mix-ins. It can be difficult to navigate what to serve for a breakfast gathering, brunch, or as an office snack with all of the food sensitivities, allergies, and dietary restrictions many people have. It's even more of a challenge in baking, where proportions and substitutions make a big difference in the results. With this recipe, you can address the needs of those who are eliminating sugar and gluten from their diets. However, it does use an egg and milk, so while these are vegetarian, they are not vegan or dairy-free. You can use paper baking cups (muffin or cupcake papers) in your muffin tin if you prefer. This can be a good option when you are taking them with you for a snack during your coffee break, or when bringing to serve to a crowd. In a mixing bowl, beat the egg. Add the milk and oil. Mix together well. Add the brown rice flour, baking powder, and Splenda and mix about one minute. Fill lightly oiled muffin tins three-quarters full. Place in oven for 25 to 28 minutes until a toothpick comes out clean. 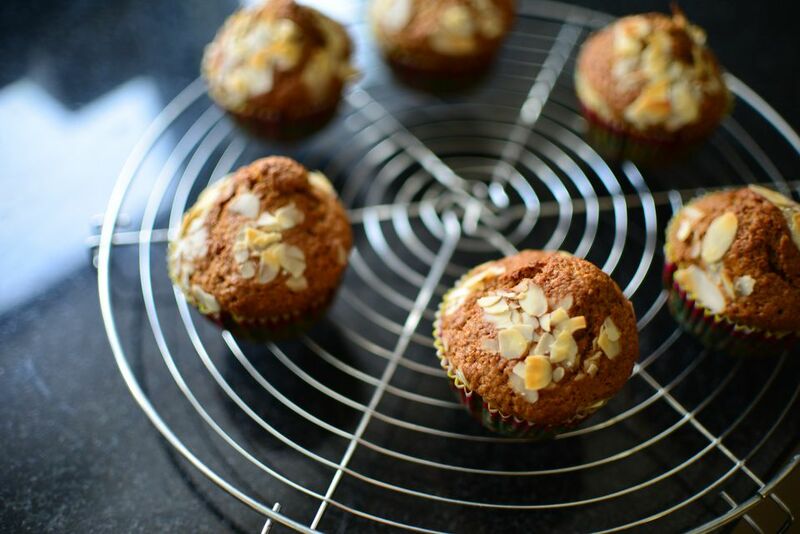 To store your muffins when you aren't eating them immediately, allow them to cool completely. Then place them in single layers in an airtight container or ziplock bag lined with paper towels (both above and below the muffins). Store at room temperature for up to four days. You can freeze your muffins if you want to keep them for more than four days. Wrap each muffin in plastic and put them in a ziplock freezer bag. They can be frozen for up to two months. When you are ready to eat them, let them thaw at room temperature or place them in the microwave for a few seconds each. You can add up to 1/2 cup of mix-ins to the batter before you fill the muffin tin. This can be a single ingredient or a combination, but don't exceed 1/2 cup total. Your options include poppy seeds, nuts, blueberries, raspberries, diced apple, grated coconut, or dried fruits (raisins, dates, cranberries, cherries, apricots). For a nutrition and fiber boost, add ground flax seed or chia seeds.